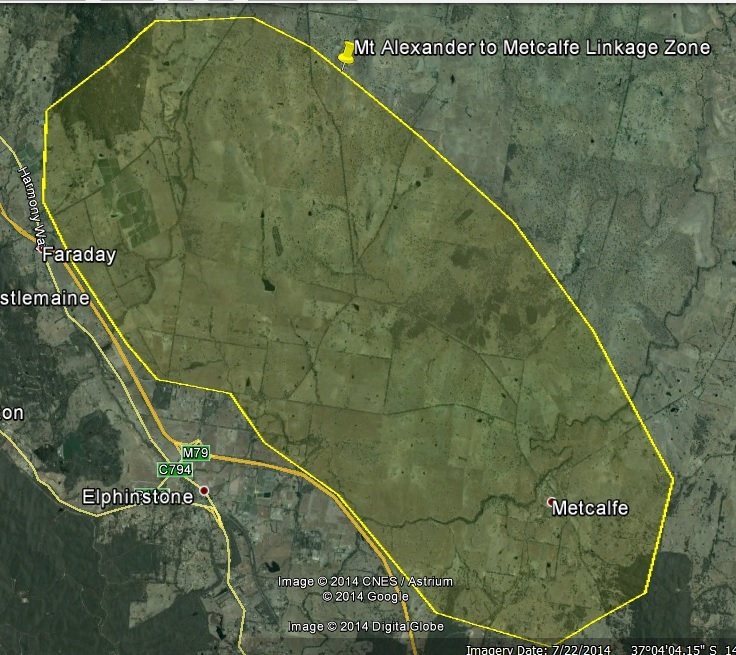 Habitat for Bush Birds: Linking Mount Alexander to Metcalfe aims to enhance native vegetation links between two important bird habitat areas; the Mount Alexander Regional Park and Metcalfe Conservation Reserve. There are already some good patches of habitat existing along roadsides and on private land between Mount Alexander and the Metcalfe NCR, but there is no high quality continuous strip of native vegetation that connects the two. This project is the first stage in filling in some of the gaps, and also expanding some of the existing smaller remnants of vegetation and narrower roadside strips. Approximately 15 hectares of habitat creation will be undertaken in total for this program, which includes activities such as revegetation using direct seeding, weed control, rabbit control and the construction of protective fencing. This project forms part of our Woodland Bird Action Plan and is supported by the Victorian Government’s Communities For Nature program. To find out more or to express interest, click here. Alternatively, contact Krista on 5472 1594 (available Monday and Thursdays) or krista@connectingcountry.org.au.